Nov-Dec of 1985 have been upload on munecojim channel. Mark's shooting was such an excellent mystery! The umbrella stories are seamless during this period - From Thomas's experimental surgery on his then-unknown-father to Clarissa finding her dead husband to the wedding then the shooting, then the Jenny Diamond reveal - there was a part of the story for everyone and the pacing is great. All these years later, the visual reveal of Julie/Jenny shooting Mark still gives great shock value. So this may be a major long shot.....but my Father (who passed away over two years ago now) made a quick appearance on Capital while he was in the United States Air Force Honor Guard. I'm looking for the clip of him, but as someone who never watched the show I don't have much to go on for it. The information I do have is this: he was on the capital steps with other members of the Honor Guard for a scene where a limo pulled up and one of the characters that played a senator (?) was getting out of the limo. It's the only clip that would have the Air Force Honor Guard in it, apparently they were used because the senator's character was Air Force. Any help would be appreciated! Even if it's just you remember what season, episode that might be. Thanks! Location shooting is pretty rare on soaps. There's a decent chance it could be in an early episode. I would hazard to guess that it was during one of the two DC location shoots. Either Trey and Sloan's wedding at the National Mall or the pilot episode, both of which are on youtube. I'm pretty sure this was Sloane and Trey's wedding, I've attached a clip from my YouTube page. The limo and military men starting 23 seconds in. The steps are that of the Jefferson Memorial, rather than the Capitol. 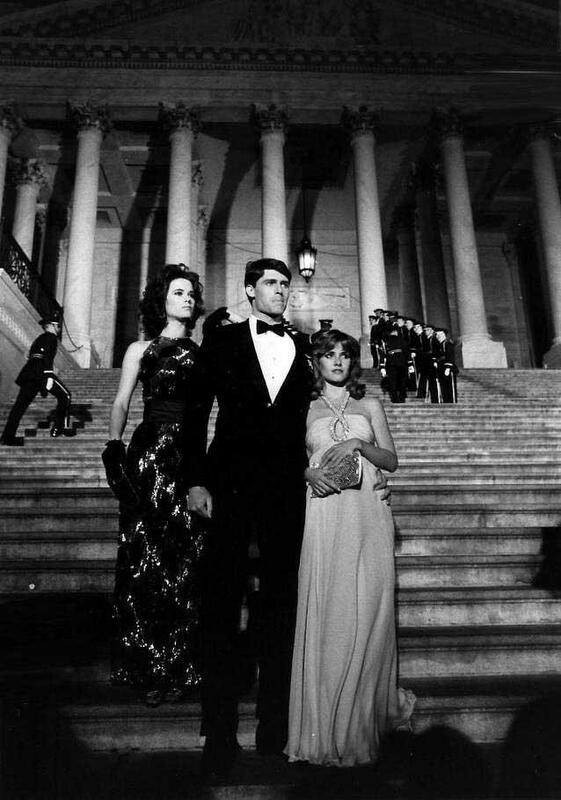 Capitol was taped in Los Angeles and it was quite a damper on production as it rained and rained while they were on location in D.C. The groom, Trey, was a congressman, while the bride, Sloane, was the daughter of Sen. Mark Denning. I met Marj Dusay (who played Trey's stepmother, Myrna) years ago and she talked about how they filmed the wedding scenes once inside the memorial in studio in L.A. You can see the noticeable change while watching the clip below. God bless your father, I hope you can spot him! That sequence starting at 3:08 gives me chills, so stunning with the Washington Monument poised in the background. Tyler McCandless is Air Force, he's introduced in the primetime premiere flying into Andrews where he's met with a hero's welcome. That got me thinking about his reception at the Capitol which would have aired in daytime the following week. I'd only seen clips, but lo and behold, the full episode (dubbed in Italian) was recently uploaded. Marj Dusay's first scene as Myrna. 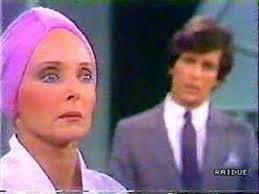 It's interesting how in the Italian dubbed episodes, they always announced Marla Adams as the actress playing Myrna in the episodes where she covered for Carolyn Jones. But when Marj took over, they made no announcement, she was suddenly listed in the opening credits and that was it. Yeah, I've noticed that the ends of certain scenes are cut short in the Italian edits. With two episodes edited into one, the show is really whizzing by. CJ loved playing Myrna, I wish we could've enjoyed her for much longer. I can't imagine that the show wouldn't have aired a title card when she passed, though I wouldn't expect to see that on an Italian edit. 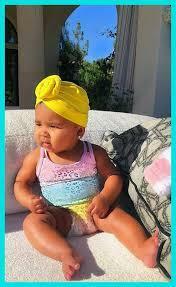 Are the Kardashian babies' stylists big Myrna Clegg fans?